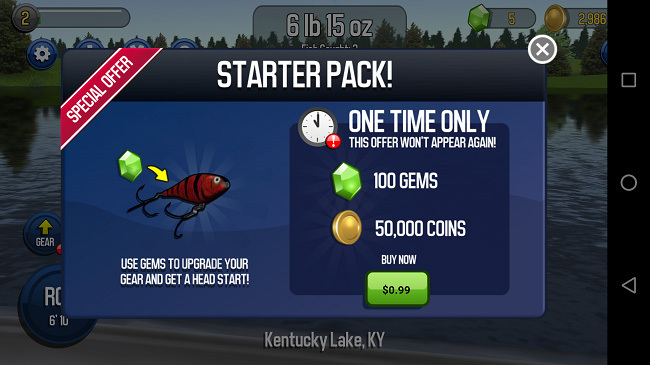 IAP Promos allow developers to easily promote in-app purchases. Use them to target different players with unique purchase opportunities at various points in the game. Unity recommends using the latest Unity IAP SDK (1.20+) and Unity Ads Monetization SDK (3.0+) for access to the latest features. Using older versions of the SDKs may cause initialization errors. Note: When implementing Promos, you must initialize the IAP SDK prior to initializing the Ads SDK to avoid potential issues. Placements surface monetization content (ads or IAP Promos) to players. When a player triggers Promo-enabled Placements, the backend selects a Product to promote from that Placement’s eligible Promotions. The player can make an in-app purchase directly from the resulting interstitial ad. IAP Promo’s machine learning software leverages the aggregated data in Unity’s network, looks for data patterns, then feeds them into a model to improve your game. This enables personalized offers, even for brand new players. This completely automated service works around the clock. For more information on using Promos to optimize revenue, see documentation on Personalized Placements. When a Placement makes a request, the system looks at all available Products that are eligible to display. It then applies business criteria filtering (for example, geographic or OS targeting), and uses data science to select the best Product for a user given the remaining options. The model considers many data points to inform its choice, such as device characteristics and player session behavior. We define the best offer as the Product that maximizes lifetime value (LTV). To leverage IAP Promo’s machine learning feature, simply add multiple Products to a Promotion, and let Unity do the work. The system finds that the player meets targeting criteria for all three offers. See in Glossary, and displays that offer. We recommend supplying at least three price points per Promotion (low, medium, and high), with appropriately commensurate payouts. As with any data-driven model, the more data points available, the more effective it is. There is no limit to the number of Products you can add to a Promotion; you may even choose to provide a Product for each price tier in the game’s app store.